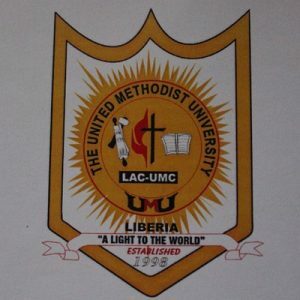 The United Methodist University of Liberia (UMU) Emblem. WE ARE A WELL-ESTABLISHED TERTIARY INSTITUTION UNDER THE LAWS OF THE REPUBLIC OF LIBERIA AND DOING WELL WHEN IT COMES TO EQUITY IN THE WORKING INDUSTRY. LOCATED ON ASHMUN STREET WITH CAMPUSES IN THREE OTHER COUNTIES. THE UNITED METHODIST UNIVERSITY IS HIGHLY RESPECTED IN THE EDUCATION ARENA. THE CULTURE IS ENERGETIC, TEAM MAKING, SUPPORTIVE AND VERY SOCIAL. AN INTERNAL AUDITOR POSITION HAS BECOME AVAILABLE DUE TO GROWTH IN THE UNIVERSITY. THE POSITION WILL INVOLVE WORKING MAINLY WITH THE FINANCE DEPARTMENT IN COLLABORATION WITH THE PRESIDENT AND THE BOARD OF DIRECTORS. THE INTERNAL AUDITOR WILL BE THE HEAD OF INTERNAL AUDIT UNIT AND WILL REPORT TO THE PRESIDENT FOR ENSURING COMPLIANCE AND PRUDENT UTILIZATION OF RESOURCES. RESPONSIBLE FOR RISK ASSESSMENT AND MITIGATION STRATEGIES AND POLICIES RECOMMENDED FOR BOARD APPROVAL. TIMELY EXECUTION OF ASSIGNED RESPONSIBILITIES AND RENDITION OF REPORTS. UNIVERSITY DEGREE IN AUDITING/ACCOUNTING/FINANCIAL MANAGEMENT AND BE IN POSSESSION OF CPA/ACCA. IN ADDITION MUST BE A MEMBER OF THE INSTITUTE OF INTERNAL AUDITORS OR OTHER EQUIVALENT PROFESSIONAL BODIES. 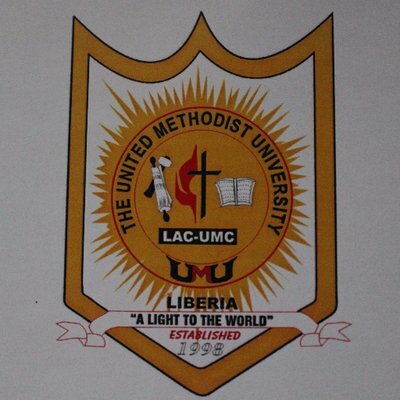 CANDIDATES MEETING THE CRITERIA ARE INVITED TO SUBMIT APPLICATION, DETAILED CURRICULUM VITAE, AND COPIES OF CREDENTIALS TO THE OFFICE OF THE PRESIDENT OF THE UNIVERSITY, ASHMUN STREET, MONROVIA, LIBERIA.